We read about the extraordinary numbers of plants and animals that live in the rainforest. Of course, the rainforest isn't just one place - rainforests vary by continent, rainfall – though normally more than 2,000 mm (79 in) per year, elevation, and the underlying soil type. 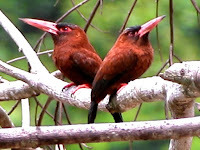 The communities of trees, birds, ants, fish, monkeys, and mosses you might find in Peru, such as these below, differ from those in Congo or New Guinea, or even Venezuela. The western Amazon, just east of the Andes range, is famous among biologists for the sheer number of everything that is found there. The problem is finding all those different species. Unlike the wide-open grasslands and woodlands of the east African savannas, rainforests are typically dense green places, and the animals in them are generally hidden or shy. Even forest researchers see most of them only rarely. For the better part of 3 years, I followed around and studied one type of monkey, the saki, above, in the Peruvian Amazon (oh, the PhD, more on this another time). Despite being out in the forest all day, I only rarely came upon other monkeys or other large mammals. nearly in action. Not good. Happily, I had even fewer encounters with snakes.. this was one of them. Fortunately, the spread of relatively new technology, in the form of remote cameras that take photos or video when they are triggered by movement, has allowed scientists to record the presence of species that are nearly impossible to film by hand. Typically, one or a pair of simple still or video cameras is hidden (protected!) inside a small camouflaged housing and tied to a tree. The camera(s) is equipped with a motion or infrared (heat) sensor, so when an animal walks by, it triggers the camera's sensor and, Voila!, a picture is taken. 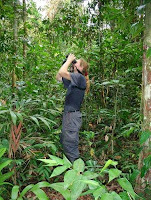 Camera trapping, as it's called, has been used by scientists to document the presence of rare and cryptic species, or of animals not known to live in a certain area. 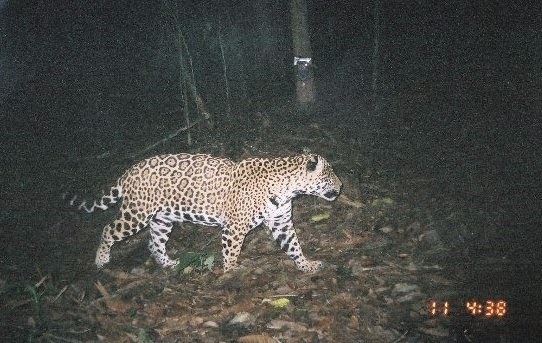 For uniquely-marked animals, such as tigers, jaguars, leopards, and other spotted cats, a pair of remote cameras that capture both sides of the animal can tell researchers that Joanna the Jaguar is back, at the exact location of that pair of cameras. One side is not enough to distinguish the same individual. Mainly, though, they can generate tremendous support for natural forest areas by showing decision-makers and the public some of its animal wonders. "These days, many people have lost connection with nature and these images and videos can bring them closer to the magnificent creatures we share our planet with, waking up their curiosity, encouraging them to see wildlife 'live' and more importantly, encouraging them to protecting it," says Diego Mosquera, director of camera trapping at Tipuntini Biological Station in Ecuador's Yasuní National Park. Here's a montage of clips from Mosquera's collection. How many of these species have you seen or heard of before? Yasuní is huge (3,800 sq. mi / 9,820 km2), larger than the U.S. state of Delaware, and it supports more species of various plant and animal groups than any other place on Earth. For example, roughly 655 tree species can be found in a single hectare (2.5 acres) -- this is more species than are found in the mainland U.S. and Canada combined. It also supports at least 596 bird species and 150 different amphibians, as well as world records in the number of bats and reptiles. Public support is exactly what Yasuní's large mammals need. Yasuní is in the news because Ecuador's president, Rafael Correa, recently cancelled an initiative his government had proposed that would have halted oil exploration in the park if foreign sources would pay Ecuador US$3.6 billion to offset half the cost of not exploiting the underlying oil. The pressure to drill in the park is huge. Ecuador relies on oil exports for half of its export earnings and a third of its annual budget. Roughly 850 million barrels of crude oil are thought to sit below a key remote section of the park called ITT. 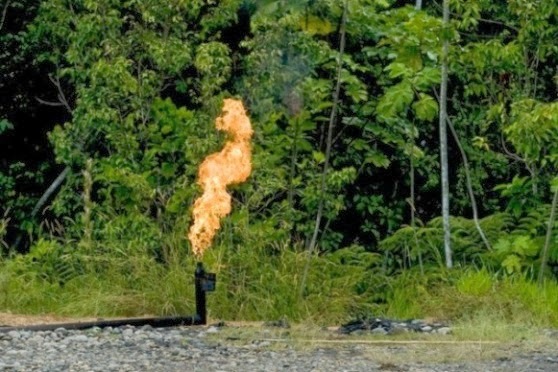 The Ecuadorian government has calculated that it would earn around $7 billion from exploiting this oil. Unlike crude oil, the value of the ecological services, such as the provision of clean air and water and carbon storage, provided by tropical forests such as Yasuní are notoriously difficult to quantify. The purpose of the Yasuní initiative was to allow preservation of the area's biological diversity and indigenous populations, as well as reduce carbon emissions that occur when trees are cut and burned. The funds were to go toward reforestation, renewable energy projects, and various community initiatives. 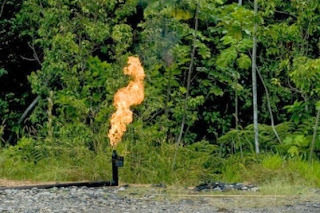 As of this year, however, only around $330 million of the requested billions had been pledged, and in August, president Rafael Correa announced he was cancelling the ambitious program and opening up the park to oil exploitation. A study by Petroecuador, the country's oil company, concluded that the project would require "a major processing facility (~6 ha), seven separate platforms (six for production and one for reinjection), and a new rail system to access these platforms", which would be spread along the entire length of the target "ITT" section of the park. The direct impacts of oil development in park are many: beyond the obvious destruction of the forest to build the new facility, platforms, access roads, and pipelines, there is the contamination from spills, leaks, and accidents. These would threaten Yasuní's river life, including the endangered giant otter and the Amazonian manatee, as well as its forest species. The longer-term indirect effects of building access routes into a previously undisturbed forest are likely to be even more damaging. People flock to settle along roads, and as they start to build structures, clear more forest, start fires that burn out of control, hunt and fish, sell their bushmeat, bring in domestic animals and exotic invasive plants and animals, generate waste, have children, build towns, and repeat. This process devastated an area just north of Yasuní called Santa Cecilia, and it happens nearly everywhere new infrastructure cuts through formerly intact forest. 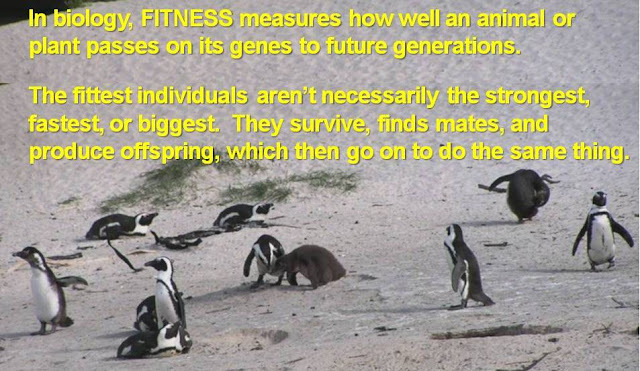 Fitness for one species = fitness lost by most others. The Ecuadorian government may put the oil exploitation bill to the will of its people for a vote. Although unlikely now, it seems that foreign countries should recognize the benefits of contributing to preserving the park. It is one of few remaining large wild areas that can not only support healthy communities of native plants and animals but also contribute to water cycles that temper the climate of places as far away as North America. At National Geographic, Scott Wallace waxes lyrical about the phenomenal diversity and wonder of Yasuní and the danger of the domino effect as the government opens each new sector around the park to oil exploration. Read more on the use of camera trapping by scientists and conservationists and by photographers and "photo hunters." 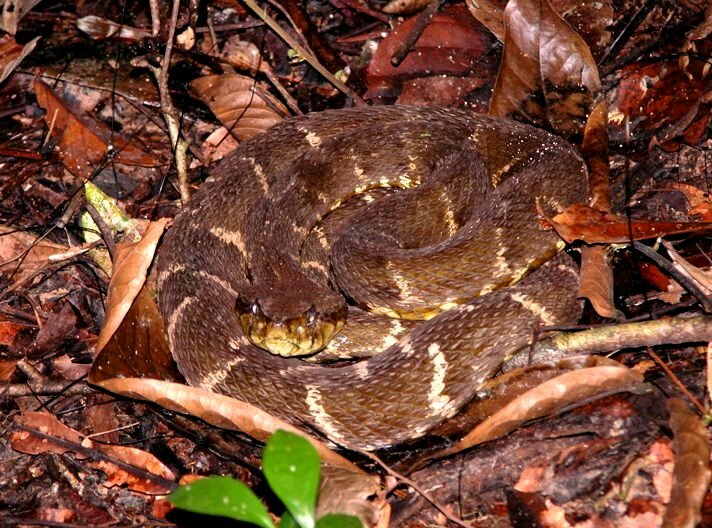 This article at Mongabay.com highlights the camera trap research of Tipuntini's amazing diversity of forest critters and the oil exploration and development that currently threatens this unique site. The original study of Yasuni's biological diversity confronting the oil exploitation -- Yasuní rules for both animals (birds and bees, salamanders, snakes and spiders, monkeys and moths), and plants (trees, vines, and all the forms living below them) - have a look! It's a good scientific paper to read if you don't usually read these! It's free, clearly written, and has a lot of colorful maps. No cool photos, though, typical scientific paper!